Every fan of music knows the tremendous power it can have over both thoughts and emotions. Great music can transform an ordinary day into something magical, even spiritual. It can provide solace, release, strong sensations and more. But music’s influence spreads further still: right up from our genetic code, through our thoughts and bodies and out into how we relate in groups. Practising the piano won’t just improve your musical abilities, it can also improve your visual and verbal skills. A study of 8 to 11-year-olds found that, those who had extra-curricular music classes, developed higher verbal IQ, and visual abilities, in comparison to those with no musical training (Forgeard et al., 2008). This shows the benefits of learning an instrument are not purely musical, but extend into cognition and visual perception. How much you feel, though, depends on your personality. 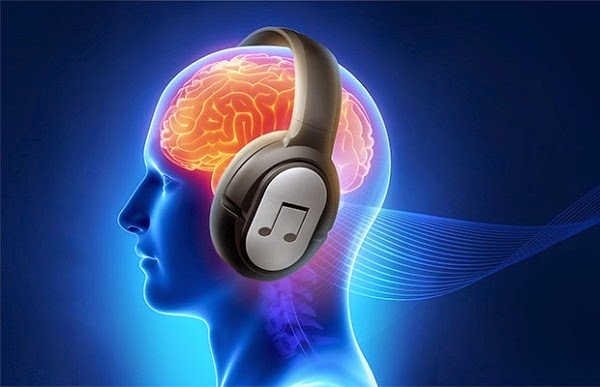 People who are high in one of the five personality dimensions called ‘openness to experience’, are likely to feel the most chills while listening to music. In the study, people high in openness to experience were more likely to play a musical instrument, and more likely to rate music as important to them. A recent study contradicts the old advice that actively trying to feel happier is useless. In research by Ferguson and Sheldon (2013), participants who listened to upbeat classical compositions by Aaron Copland, while actively trying to feel happier, felt their moods lift more than those who passively listened to the music. And, all music fans know that music can have a cathartic effect. But, it’s still odd that, for some people, sad music can, under the right circumstances, improve their mood. Why? According to a study by Kawakami et al. (2013), sad music is enjoyable because it creates an interesting mix of emotions; some negative, some positive. In a study by Palmer et al. (2013), people from both Mexico and the US showed remarkable similarities in connecting duller, darker colours with sadder pieces of music and lighter, more vivid colours with happier music. A follow-up study showed that these music-to-colour associations were seen because of the emotional content of the music. This leads to ‘visual neglect’: the patient loses awareness of objects on the opposite side to where the brain has been damaged. But, studies have found, when patients listen to their favourite music, some of their visual attention is restored (Tsai et al., 2013). So, music can be an important tool in rehabilitation for stroke patients. In a study by Zentner and Eerola (2010), the babies spontaneously danced to all different types of music, and those that were most in time also smiled the most. Maybe music really is in our genes!